We asked the boss: What’s on your plate for the Lunar New Year? 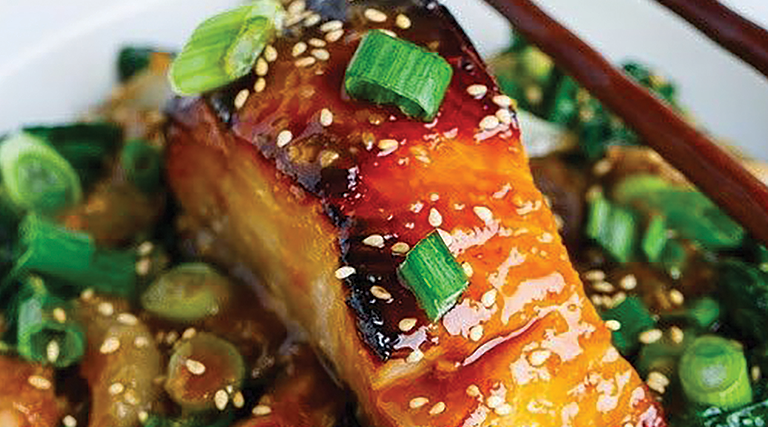 Along with a majestic mountain view and elegant, modern décor, Asian Star offers fusion food: “Chinese recipes and American ingredients melded together,” Gary Lee, sole owner for Asian Star’s 20-year history, explains. When its first home at the Canyon Racquet Club closed, investor Ellis Ivory approached Lee with funding to build its current location in 2006. “We were later able to pay him back,” Lee says, with tones of gratitude and pride. Chả giò are popular Vietnamese crispy egg rolls that are nearly always served for any special occasion, including Tết, the Vietnamese Lunar New Year. Phở Tô in Taylorsville serves chả giò using a mixture of minced pork, carrots, onions and mung bean noodles to fill wrappers that are then rolled, deep fried and served warm. The rolls are accompanied by a house dipping sauce—or nuoc cham—that’s a sweet citrusy fish sauce. Phở Tô also serves gỏi cuốn spring rolls that are made with rice paper and served at room temperature with peanut sauce.